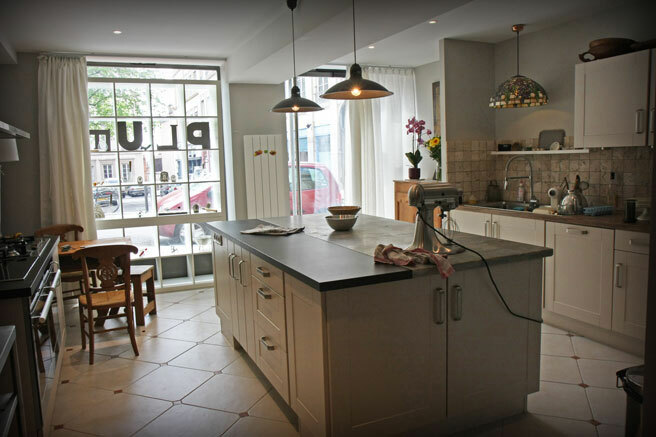 The Plum Lyon kitchen welcomes you to come and cook in Lyon, the gastronomic capital of France. Located in the ancient silk-worker's district on the hill of the Croix Rousse, a UNESCO World Heritage site, Plum Lyon is offering seasonal market classes, classic French cooking, children's workshops, and single subject ateliers that cover a chosen technique or theme in French cuisine. We accommodate 6-8 students per class. There is plenty of opportunity for hands-on learning in English at Plum Lyon. Come visit and cook with us! Monday is design day. 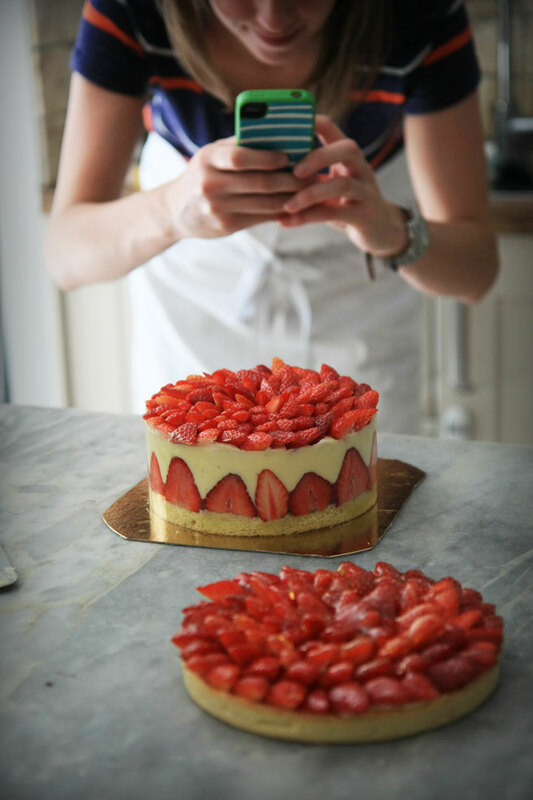 We hold our food photography ateliers, and invite colleagues and friends to brainstorm and create with us. We test recipes, work with collaborators, conduct research, edit copy for various projects, and handle administrative work related to the running of the PLUM LYON kitchen. When we don't have work on a professional creative project in the planning, Monday can also be a French Pastry Workshop day. Tuesdays, we tour the best markets and cook a full meal with you. First stop: Lyon's biggest outdoor market and fill up our market baskets. Next, we go together to Lucy's favorite fromagerie and put together our cheese plate. We return to Plum Lyon to cook up a sumptuous lunch based on that day's finds. Add offered tastings of a selection of local wines and there you have it. A wonderful meal (with recipes!). Wednesday and Thursday afternoons, PLUM does pastry. 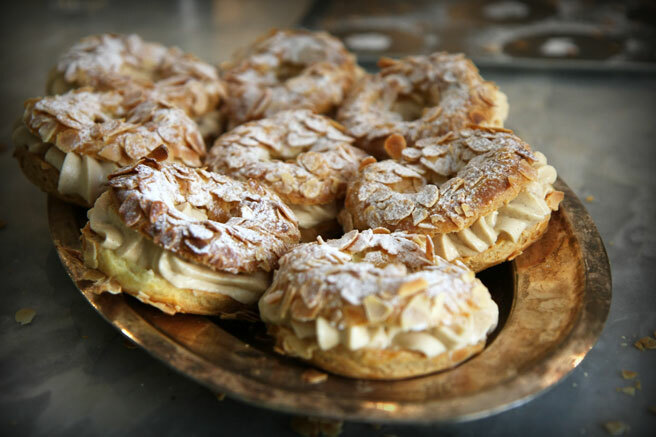 Learn how to execute your own croissants, brioche, feuilletage, charlottes, choux based desserts like eclairs, choquettes, the famous paris-brest, les religieuses, etc. and know the satisfaction of acquiring a skill you can keep forever. Fill your market basket on Friday with PLUM. We stroll the market together in the morning, make a cheese plate, gather local artisans' nibbles, and head back to the kitchen to cook, sample, learn and share well into the afternoon. Lucy Vanel is owner of the Plum Lyon Teaching Kitchen and is a French certified pâtissier, having been accepted into the ranks of France's pastry profession after passing l'épreuve technique and professional qualification tests for Le certificat d'aptitude professionnelle in pastry through the Académie de Lyon. 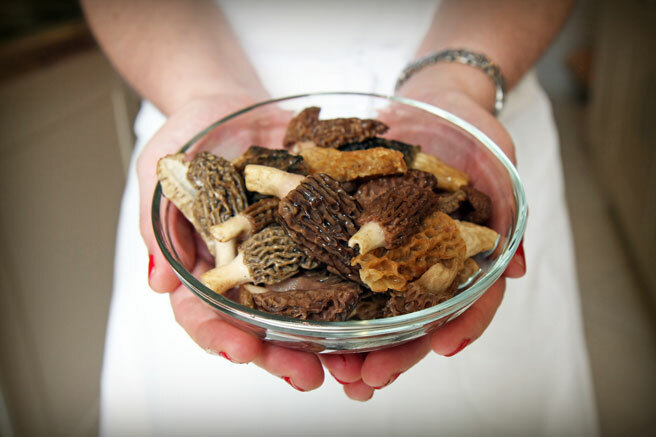 Lucy is a founding member of the first French chapter of Les Dames d'Escoffier International. 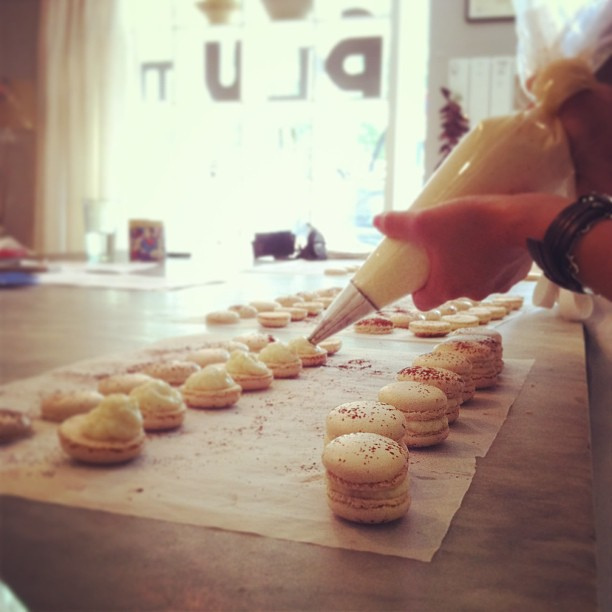 Lucy’s work and the Plum Lyon Teaching Kitchen have been featured in San Pellegrino Itineraries of Taste, the New York TImes, Boston Globe, Chicago Tribune, Delicious Magazine, France Magazine, France Today Magazine, The Guardian UK, The Independent UK, In-Flight Magazine, Washington Post, South China Morning Post, C&IT Magazine, Andrew Harper's Hideaway Report, Syracuse Herald Journal, Watertown Daily Times, and on World Radio Switzerland, with television appearances on BBC’s Great Railway Escapes, Luke Nguyen’s France, as well as featured in Marcia DeSanctis’ NYT Best-seller, 100 Places in France Every Woman Should Go. 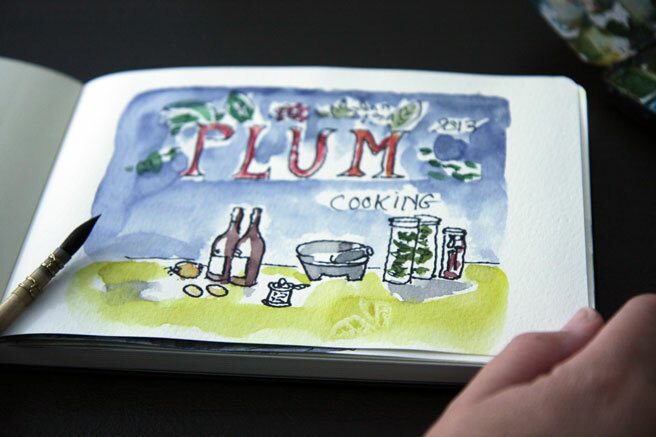 Plum Lyon was also featured by Food 52 in their round-up of the top 7 cooking schools in France.